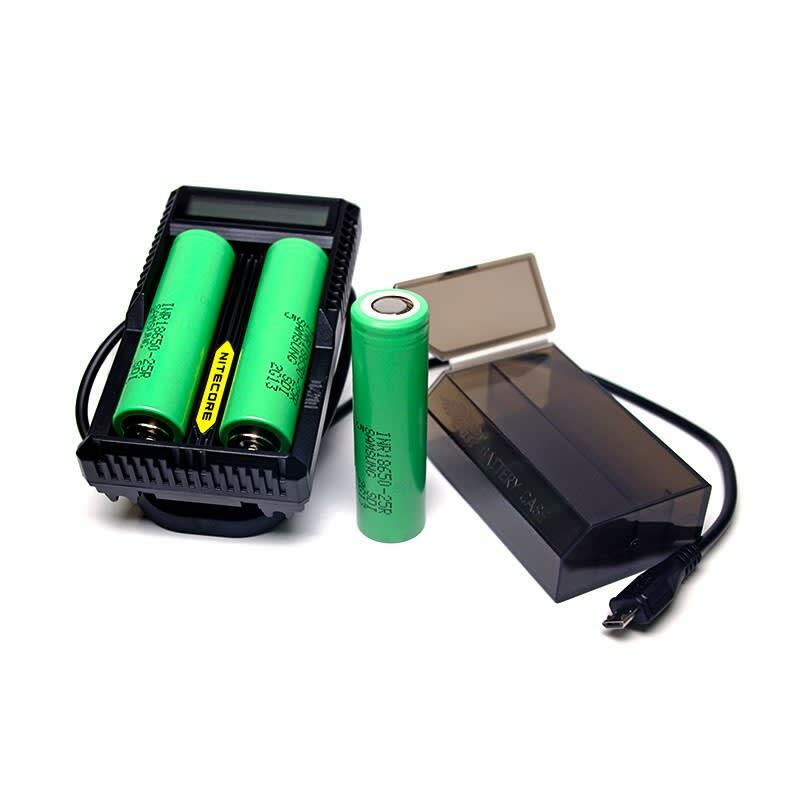 This convenient pack includes 3 high drain Samsung 18650 batteries, a Nitecore UM20 dual charger USB, and a battery carrying case to safely store your batteries, all at a discounted price. The ideal bundle for the heavy vaper using a box mod with replaceable batteries. This convenient pack includes 3 high drain Samsung 18650 batteries, a Nitecore UM20 dual charger USB, and a battery carrying case to safely store your batteries. All at a discounted price! This bundle is great if your looking to get a lot of batteries and a charger with a battery case. I like that I got to select a specific capacity of battery that suited my mod better. I will consider buying this bundle again in the future if it's available. I got a vape kit and didn't realize it needed a battery. So I got this bundle after, and it was great! Gave me everything I needed to run and charge my vape, and I saved money.